One Viking woman. One God. One legendary journey to the New World. In the tenth century, when pagan holy women rule the Viking lands, Gudrid turns her back on her training as a seeress to embrace Christianity. Clinging to her faith, she joins her husband, Finn, on a voyage to North America. This novel is based heavily on the Icelandic Sagas. I just have to start off by saying, I love vikings! I have since the time I studied them in high school. Their way of living was very progressive for their time...yes, a bit bloody, but it's one time in history that I love to see more of. I'm a bit hooked on History Channel's Vikings. However, when it comes to reading, there hasn't been much I've spotted from this time for settings in novels. Then one fabulous day last year, this gorgeous cover caught my eye and I was sold. Heather graciously contacted me in asking to read her book and I jumped at the chance. I do have to contradict Heather in the author's note, she states she is no expert, but I have to beg to differ. She was able to build and create the world of Gudrid and the people she lived with superbly. The characteristics and mannerisms of the characters and the way they live was very real as you read through this novel. Her passion and study of this time really shown through the words as you dove further into the exploration of this new land Gudrid and husband have come to, to explore and bring the treasures of the land home to Eirik, who lent them his boats. Freydis is a friend and one of the few other women in the community that has been set up in this new land, and the girl has spirit to her, but as her stories unfolds around Gudrid, you just hurt for her. She is so strong in the beginning and after so many trials she faces, you watch her fade, but she does her best to live up to her heritage as being Eirik the Reds daughter. I really liked this story and the uniqueness of the setting. Heather was able to bring these old tales back to life on these pages and it was a wonderful treat to read! Heather writes character-driven novels that go beyond the vows, capturing the triumphs and heartaches unique to married couples. A graduate of Bob Jones University, she's been married to her sweet Yankee husband for over seventeen years. After eleven years of homeschooling and six years of writing, she really doesn't have many hobbies. Born and raised in the West Virginia mountains, she believes that bittersweet, generational stories are in her blood. 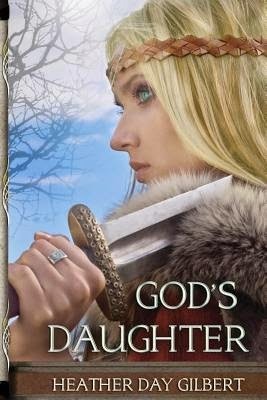 Heather's debut Viking historical novel, God's Daughter, is an Amazon bestseller. 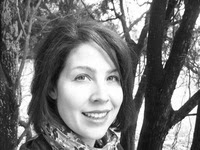 She is also the author of Appalachian mystery Miranda Warning, the first in a series. Thank you so much, Kate, and I especially appreciate your kind words on the research. It is time-consuming, but so interesting to dig deeper into the lives of these Vikings who did such incredible (and sometimes shocking!) things.